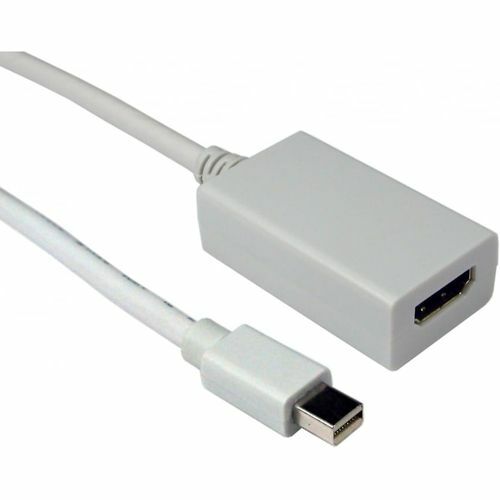 The Mini DisplayPort to HDMI Adapter lets you connect a high definition TV or projector that uses a HDMI connector or cable to a computer or tablet with a Mini DisplayPort connection. You can use an external display as your main workspace or to extend your desktop. You can also work in mirrored mode with a projector so you can view what your audience sees. The ActivBoard 300 Pro with Dual-User capability is available in 78", 87" and 95" versions with integrated slim-line speakers and amplifier, ActivInspire Professional Edition and Promethean ActivOffice. The Adjustable System includes a height-adjustable wall mount and choice of Extreme Short Throw or Short Throw projector.